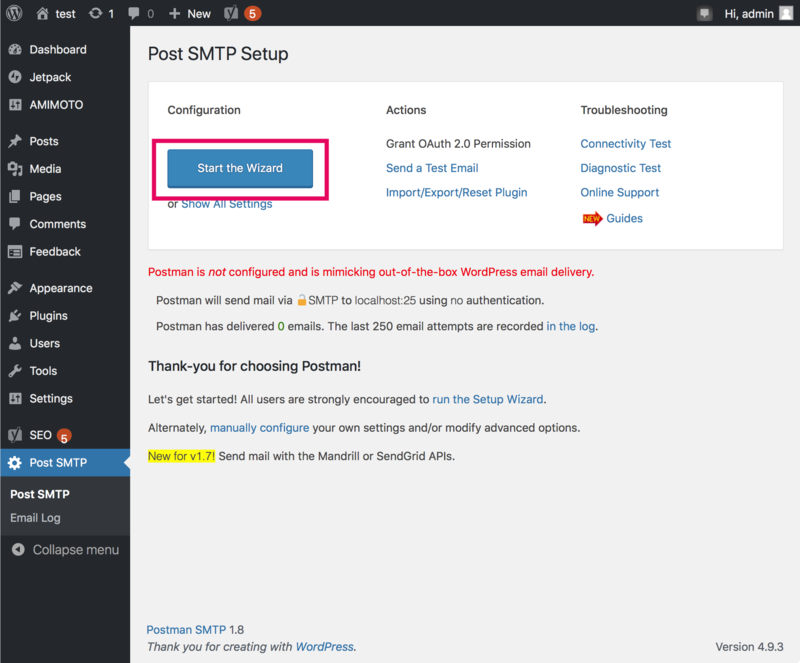 Search post-smtp on plugin page on WordPress dashboard, then install and activate. 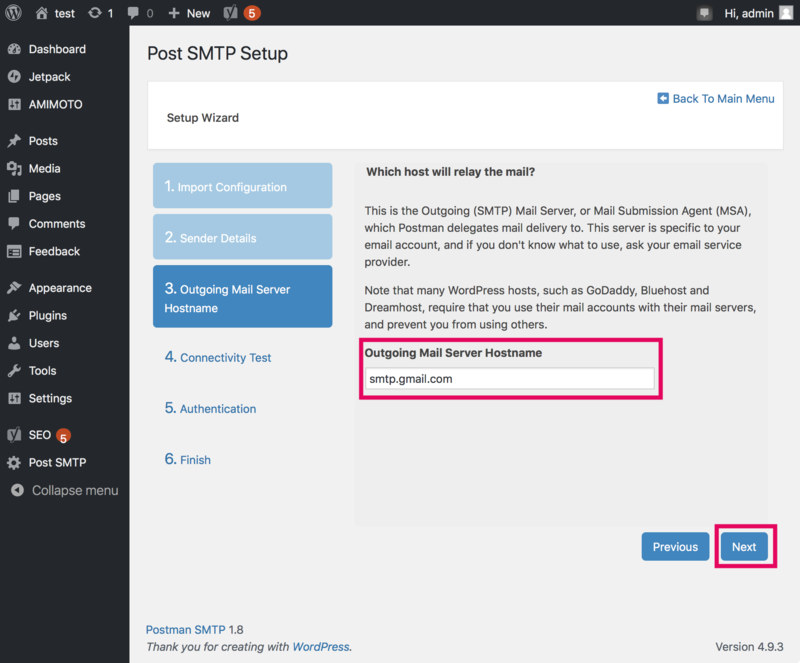 Input your SMTP server to [Outgoing Mail Server Hostname]. 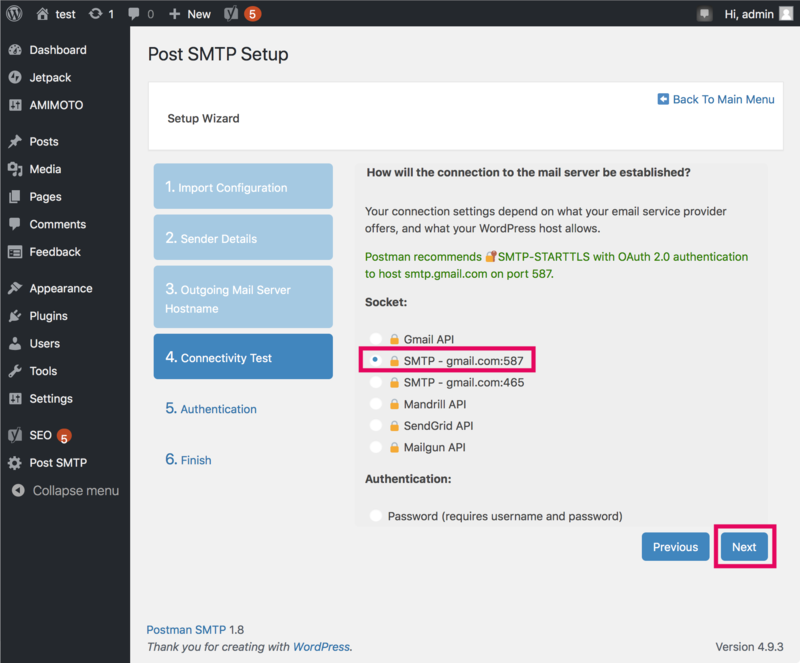 smtp.gmail.com will be set if you set Gmail address in previous step. 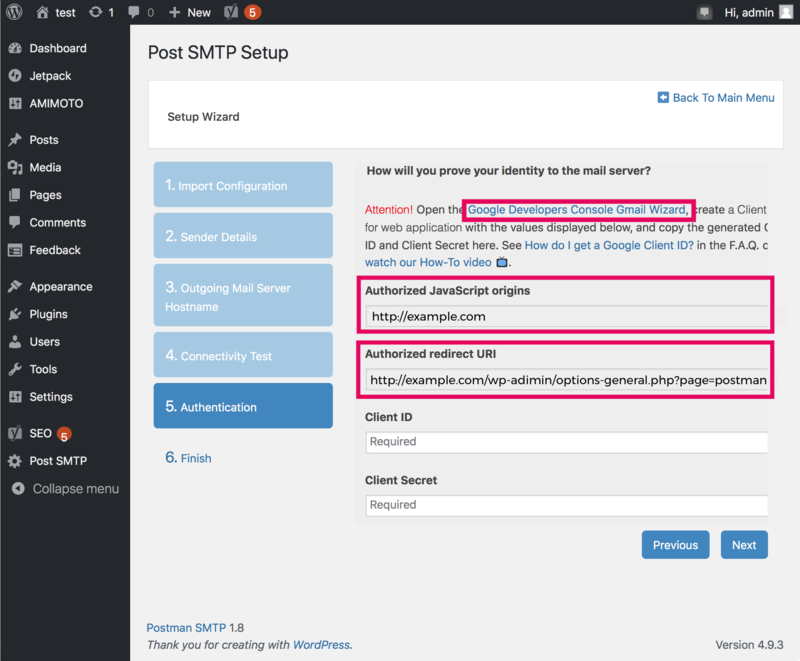 Choose SMTP port number and authentication. 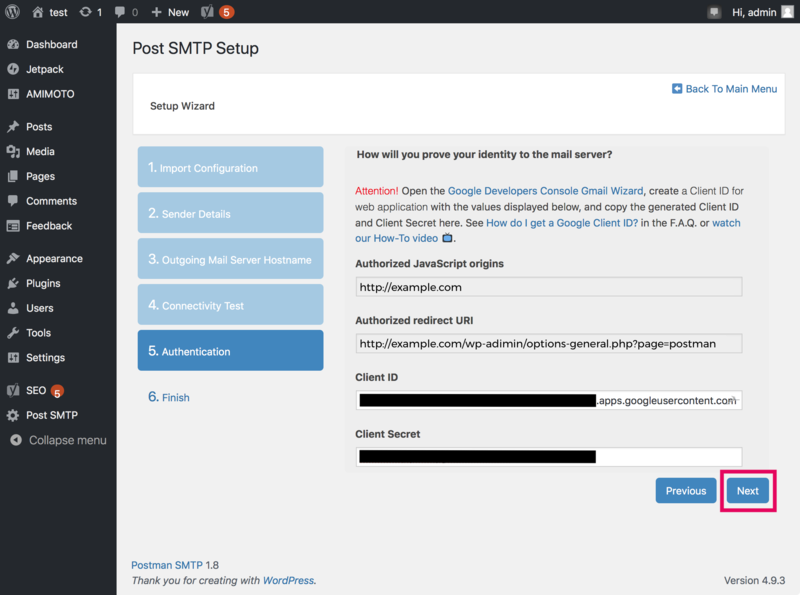 If you use Gmail, select [SMTP - gmai.com:587] , then click [Next]. 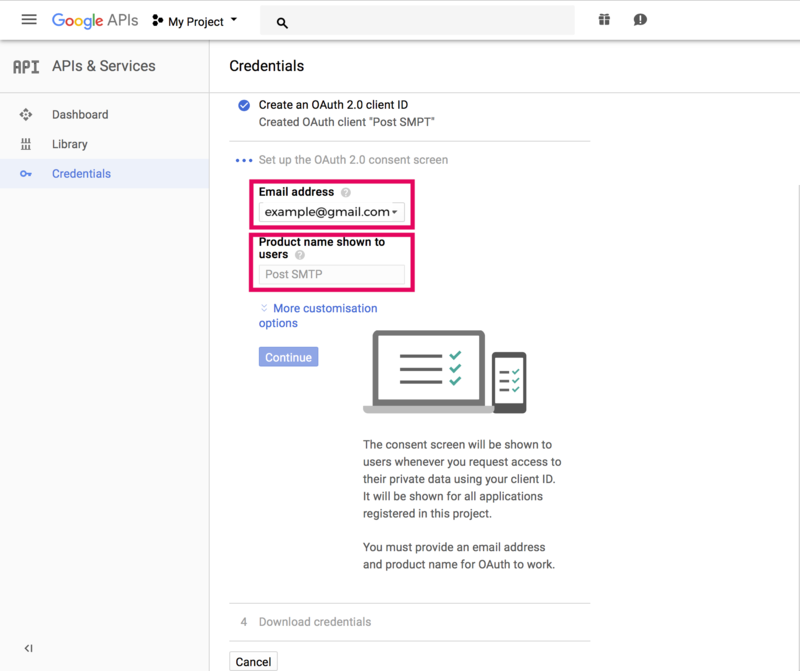 Click [ Google Developers Console Gmail Wizard] to get Client ID and Client Secret. 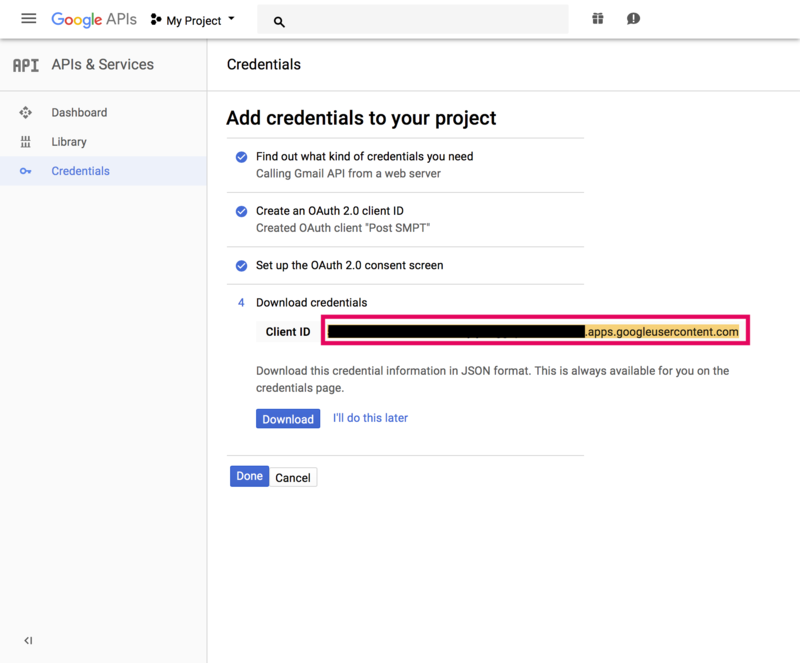 Choose [Create a project] then click [Continue] button. 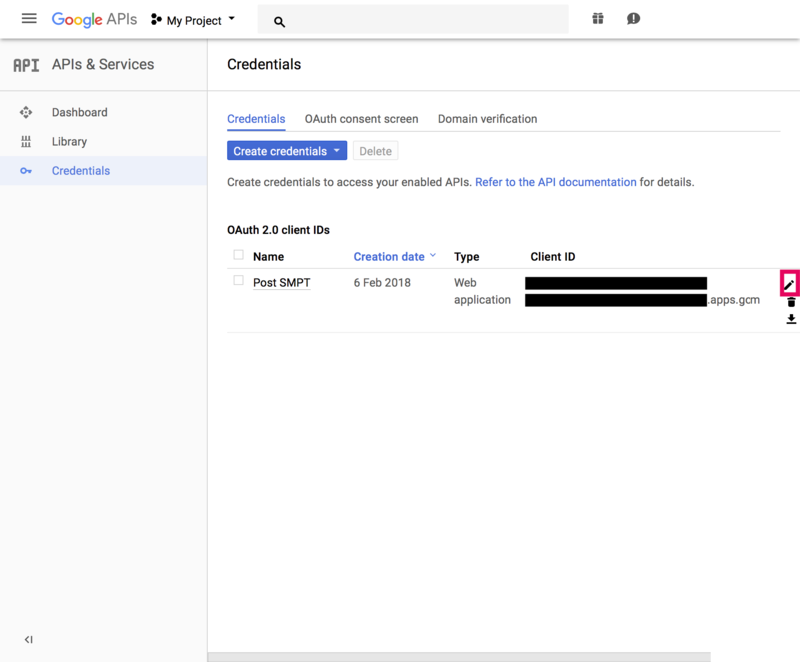 Select [Gmail API] for [Which API are you using], [Web server] for [When will you be calling the API from?] and [User data] for [What data will you be accessing?] 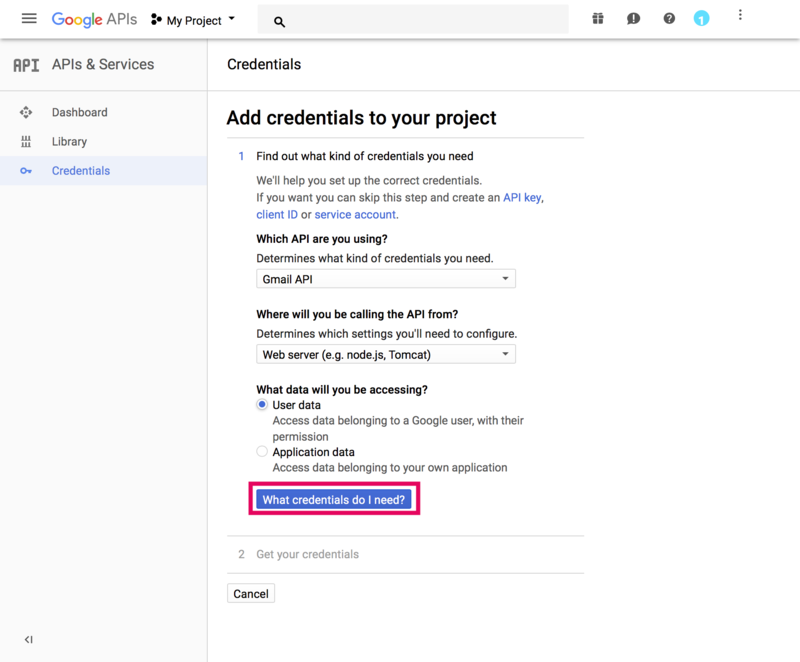 , then click [What credentials do I need?]. 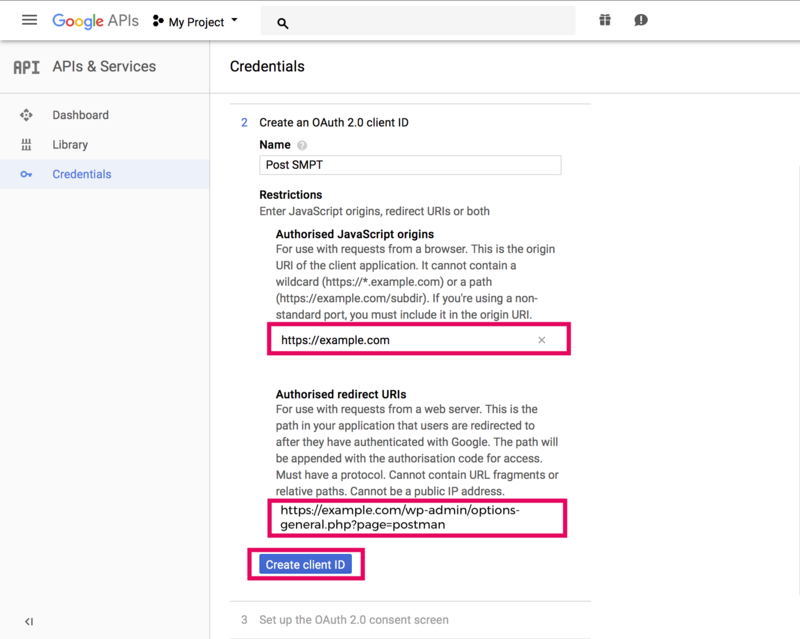 Then click [Create client ID]. 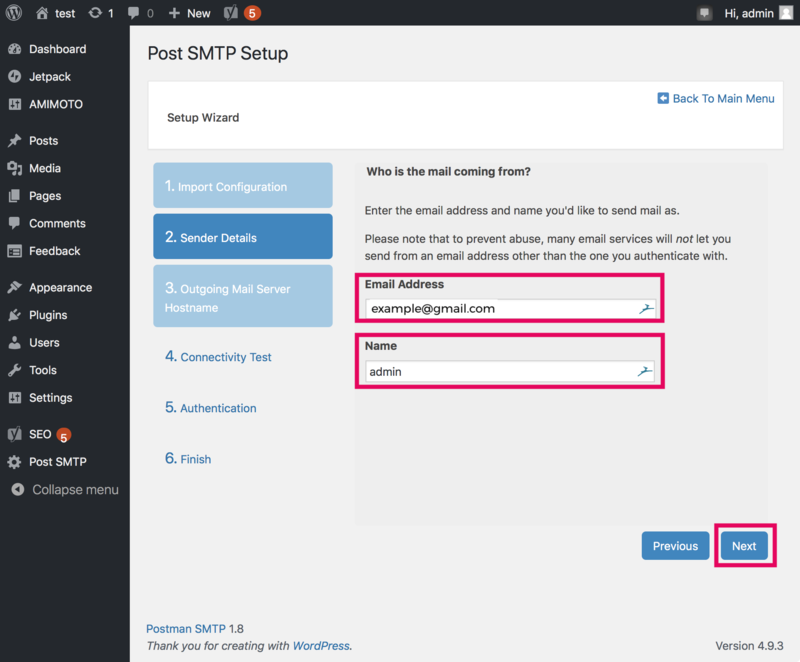 Set same value to [Email address] you've set in step 2-3. Input plugin name into [Product name shown to users] to easy to find. Click [I'll do this later]. 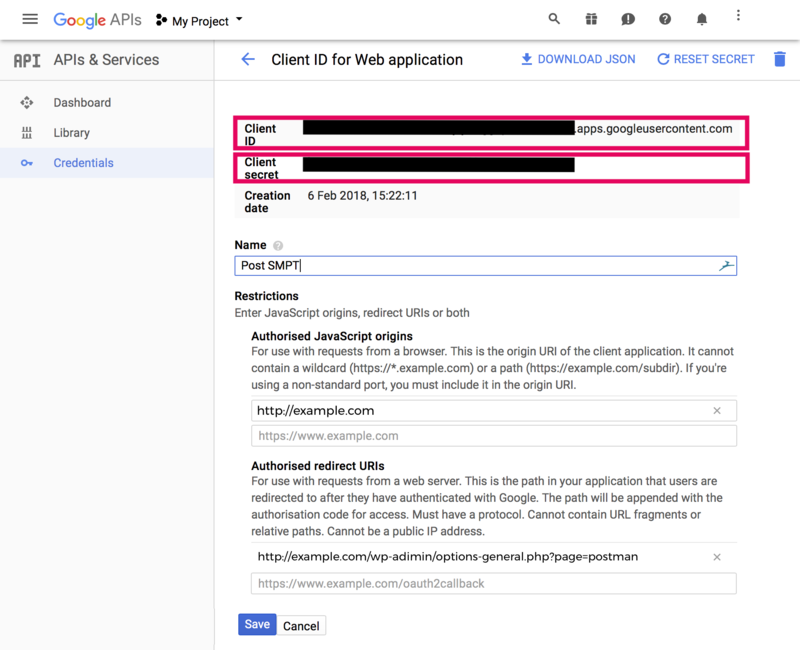 Make sure to copy [Client ID] and [Client secret], and never tell them others. Click [Save] after copying it. 2-15.You'll back to setup wizard. Click [Send a Test Email] to check mail will be sent to set mail address.